The 150ft/46m performance superyacht Ganesha has a globetrotting itinerary – one that takes her from the Med, across the Atlantic to the USA and beyond. 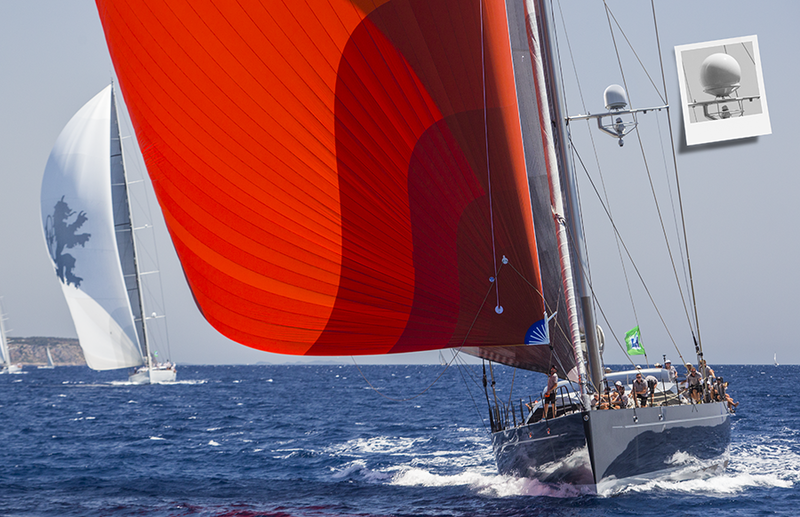 Uninterrupted connectivity is essential for Ganesha to meet the needs of all on board – from owner to crew. Ganesha had already been a long-time customer of e3 when approached by the captain to upgrade her unwieldly and aging Ku-band antennas. To realise the full potential of this magnificent yacht, a solution was needed that optimised both connectivity and performance. e3’s HYBRID system was ideal to deliver advanced connectivity to the yacht. A solution that seamlessly combined Inmarsat’s high-speed, high-quality Fleet Xpress Ka-band VSAT service with cost-effective 4G data from a BIG DATA GLOBAL SIM, together with premium quality IPTV effortlessly powered by Fleet Xpress. 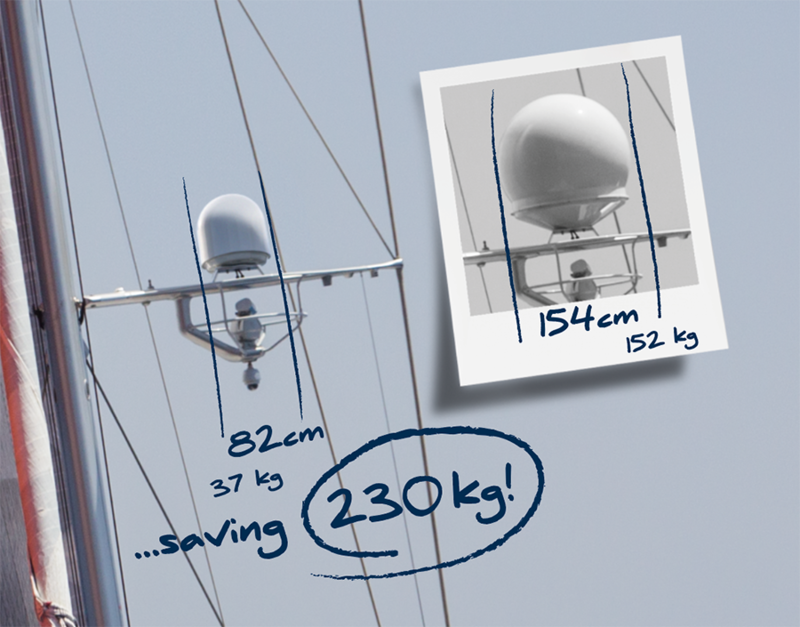 The inconspicuous Ka-band 60 GX antennas, are the lightest and most compact means of accessing High Throughput Service (HTS) Fleet Xpress maritime broadband. Importantly they also enabled the yacht to shed 230kg and enhance her performance through a combination of decreased weight and increased aerodynamics. The Fleet Xpress dual antenna solution on Ganesha offers unmatched capacity of guaranteed global bandwidth – all backed up by dependable L-band FleetBroadband. 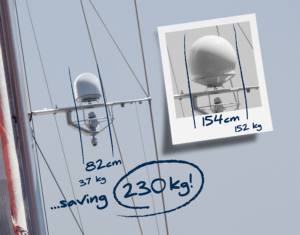 Connectivity that is reinforced with automatic switching between the two antennas – overcoming the threat of line-of-sight signal outages caused by rig and sails. Ganesha’s antennas were replaced in Palma under the supervision of e3’s installation and commissioning engineer, Gavin Dominguez, who together with Inmarsat support, worked to rectify the few teething issues which are a feature of every new project.